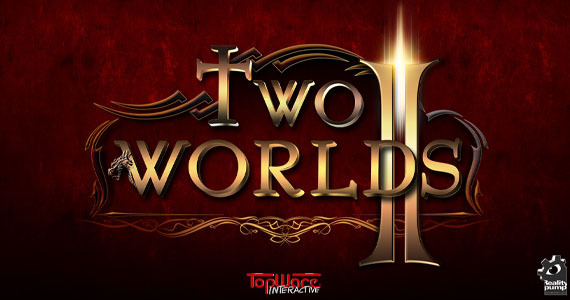 Reality Pump, the developer of one of the most popular role-playing game has released another update for their super hit game, Two Worlds 2 1.0.1 Patch. This patch brings various improvements to the Two Worlds 2 game engine and fixes some major crashes while playing. If you are playing Two Worlds II on multiplayer mode, It is recommended that you must upgrade to Two Worlds 2 v1.0.1 patch. * fixed crash in singleplayer campaign during streaming of levels (CD icon) or during teleportation. * fixed one crash in multiplayer. * if game crashes while playing wmv videos then it is switched to ogg mode and next time ogg will be played. * fixed missing in shops magic cards: Air Life and Air Lightning. * fixed type of potion ingredients generated in village shops. * fixed endless invisibility spell error. * fixed wrong direction of camera in sniper mode in reversed vertical view. * fixed problem with changing bid by +/- keys in dice minigame on laptop keyboards. * added missing “Check for updates” option to settings. * some player reported long time of making savegames in full screen. It was possible caused by taking screen shot. Save screen shots can be turned off by console command: game.MakeSaveScreenShot 0 – it should be added to autosaveGame3.con file in Parameters subdirectory of save game. * one change was made which could fix problem with saving multiplayer characters / village. Now if sending data to server fails then game make two more attempts to send. Hope the the upgrade goes smoothly, If your game is crashing while installing this update, please post a comment with error screenshot.